Welcome to today's Total Beauty Total Cure Beauty Giveaway. Two of our Palacinka readers will win a prize today courtesy of our beauty sponsor Basix and Beyond! 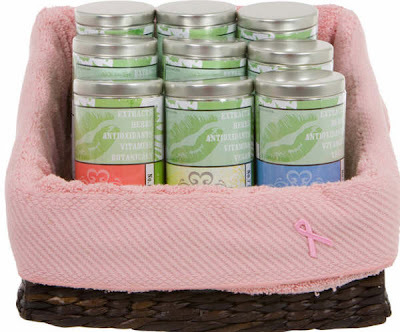 1st Prize: will be AsimpleCASE Pink Satin Pillowcase (Basix and Beyond) and One Organic Tub Tea. To enter this giveaway, send an email to palacinkabeauty@gmail.com. The subject line should read "Total Beauty – Total Cure Giveaway." 3. 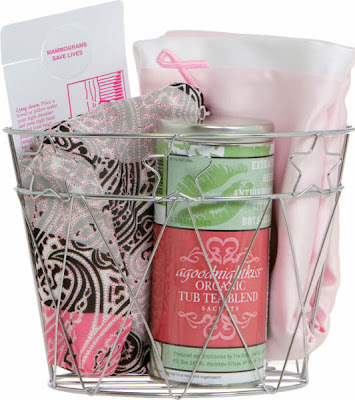 A breast cancer fact you’ve learned by visiting the Total Beauty – Total Cure MySpace or Facebook pages. This contest only lasts 24 hours and will end tonight (October 21st, 2008) at midnight (EST). Two winners will be chosen at random from among the entrants. On Wednesday, October 22nd, we'll announce the winners' names on the blog. Please, only one entry per person; duplicate entries will not increase your of winning.